Join our May Village Talk to hear Newburyport sculptor, Jeff Briggs, talk about the creative process used in the development of the iconic Greenway Carousel in Boston. Jeff, the designer, sculptor, and art director for this one-of-a-kind carousel, features fourteen different characters native to the land, sea, and sky of Massachusetts, including a sea turtle, a cod, a peregrine falcon, a grasshopper, a harbor seal, a fox, a skunk, a whale, three types of butterflies, a barn owl, and a sea serpent. The characters were inspired by the drawings of Boston school children and fabricated by Jeff. The Carousel was designed to be accessible to individuals with physical, cognitive, and sensory disabilities and is considered to be New England’s most accessible carousel. 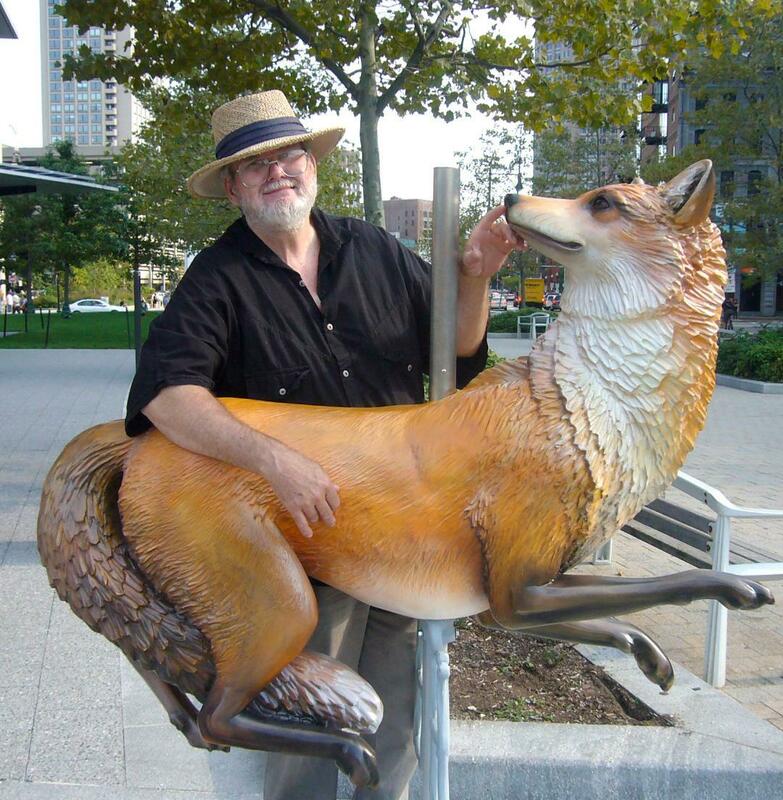 Jeff will show a video on the design and production of one of the characters - the Fox. He will explain the direct plaster method of sculpting, beginning with the armature construction through to the final finished surface, including the custom glass eyes, the fiberglass casting process, and the color study materials and selection. Jeff received his bachelor's from Tufts and his diploma from the Boston Museum School of Fine Arts. Jeff and Lindsey Briggs operate Briggs Design, a sculptural design business, creating work for Bloomingdale's, FAO Schwartz, and Disneyland, as well as numerous custom carousels around the world.